The short answer is “no”, but let me tell you why the answer is no. Lesson Learned: This was the first time I had ever spray painted plastic, and almost immediately after the spray paint dried, I noticed it starting to chip off. There are two reasons I believe this may have happened: 1.) The texture of the plastic was glossy, which didn’t allow for great adhesion of the paint and 2.) the type of spray paint used didn’t state it could be used on plastic. 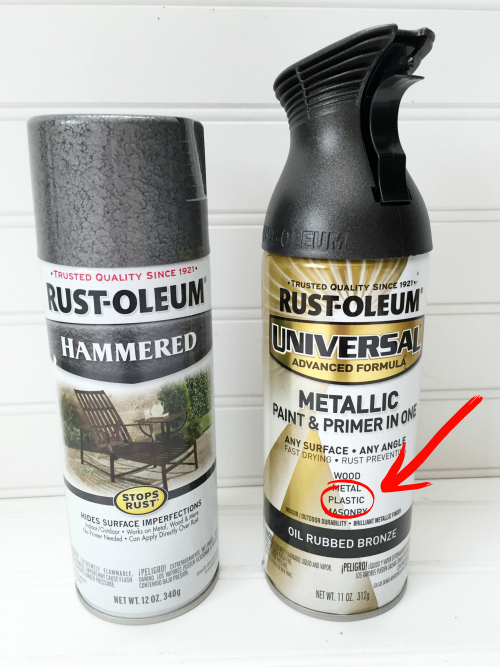 Remedy: If you notice that the spray paint is starting to chip, you can apply a coat of Mod Podge to seal the paint. 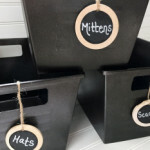 I have had these bins in my pantry/mudroom for over a year now and they are still holding up nicely after applying the Mod Podge. Lesson Learned: The second time I spray painted plastic bins, the plastic had a matte finish, and I used a different type of spray paint that said it could be used on plastic. I did a base coat in the Oil Rubbed Bronze (“plastic approved”), and then added a fine mist of the Hammered Metal to create a little texture. The spray paint has adhered to these bins amazingly well. I have not had any chipping or peeling. This may be because the texture of the plastic was slightly textured with a matte finish and/or because I used a spray paint that was made for use on plastic. 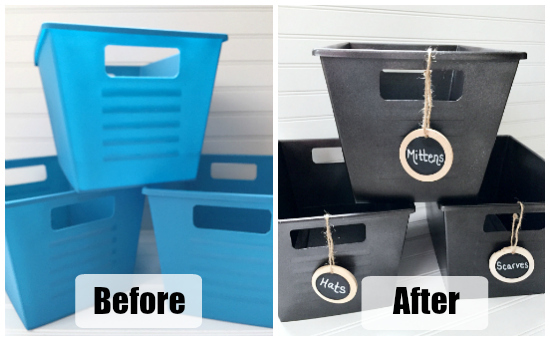 In July, I took on an organization project under our bathroom sink and, once again, spray painted some plastic bins. Lesson Learned: This time around, I had some items that were glossy and some that were matte. 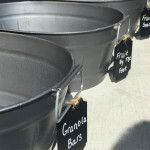 I didn’t want to take a chance on the glossy bins, so I used a high-grit sandpaper to create a little bit of texture for the spray paint to cling to. I, again, used the Oil Rubbed Bronze (that was “plastic approved”) as the base and then added Flat Chestnut for a bit of texture. Honestly, I’m not sure the sanding was necessary. I think the spray paint would have adhered either way. No Mod Podge was required for the glossier bins this time around. While it’s only been a few months since these were made, everything has held up nicely and I’ve had no issues with chipping. In the end, I would say the best tip is to use a spray paint made to adhere to plastic, if you can’t find a color you like in that variety, you can always lightly sand the plastic first to create texture for better adhesion, and seal the paint with Mod Podge once it has dried. Got more questions? Feel free to ask in the comments section below. I did the same thing some years ago. I needed a long box planter to put on the “bar” sperating the kitchen and living area o my new home. All I could find was the basic terra cotta plastic planter. . Since it was a matte finish so I took it out and spayed it lightly with the same brand of paint – black matte. Four years later, still looking as good as the day I finished it, I think it got abor four or five coats of paint. I waited about an hour or more between coats. Have a question about sequence…what should be painted first — inside of bin or outside? And do you paint the very bottom of the bin (I’m assuming you do but thought I’d ask). Thanks so much for this post. Gave me lots of direction and insight. It really doesn’t matter it you decided to spray paint the inside or outside first, just make sure you allow the paint to thoroughly dry before flipping it over to paint the opposite side. I decided to spray paint the bottom of the bins, but that’s personal preference. You could leave them unpainted if you choose. Hello. 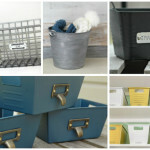 I am wanting to spray paint all of my classroom bins to match my new theme. I am trying to get an idea of how many cans of spray paint I will need. 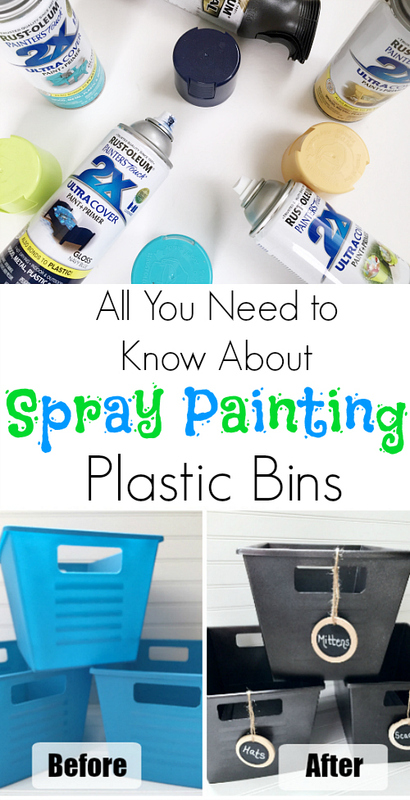 How many cans of primer and paint did you need for the mudroom bins? I would say that you could probably do 4-6 bins with one can of spray paint. 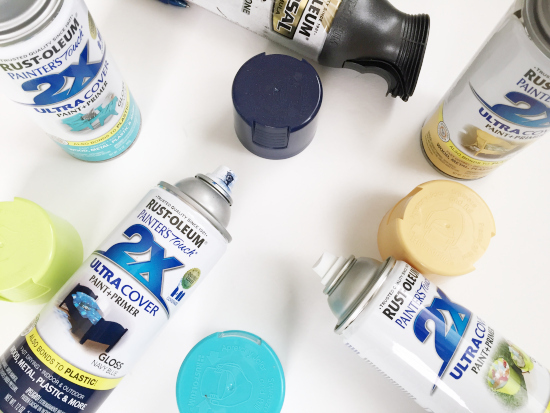 In my mudroom, I did all 6 with one can, I believe (although I may have needed to start another can… I can’t quite remember. I certainly did not need 2 full cans for them though). Hope that helps as you create your bins. Thank you for sharing this! I’m trying to make over my apartment (on a budget, of course) but I was really skeptical about the practicality of spray painting plastic. Hi! 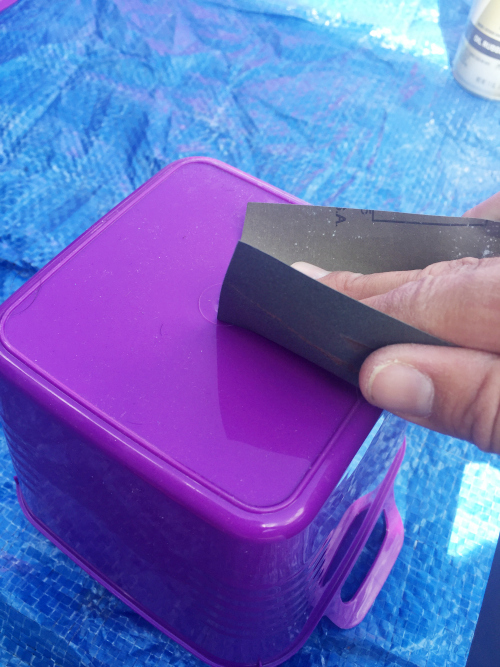 My husband is going to spray paint clear rubber maid plastic bins to hold toys. Should we spray paint the inside or outside of the bins? This is the spray paint we bought: Valspar Color Radiance Nautical Enamel Spray Paint. Hi, I’m wondering if instead of sealing with ModPodge after, would it make sense to “prime” with the ModPodge, and then the spray paint of your choice? Thanks! Hi Stephanie! Great question. What I would actually recommend is priming the plastic with a spray paint primer (like this one (affiliate link): http://amzn.to/2FwR1Q3). Notice that it actually states that it bonds to plastic 🙂 That should then allow the spray paint to work better (vs. Mod Podge). Hope that helps. First, congratulations on the upcoming wedding (whether for you or someone you love 🙂 ). Here would be my ideas on spray painting the Rubbermaid Trash Can. First, I would LIGHTLY sand it and then clean it off well with a damp rag and let it dry. This allows for better adhesion… Then I would spray it with a PRIMER, like this one (affiliate link): http://amzn.to/2FwR1Q3 Notice it states that it BOND TO PLASTIC (that’s super important). After that has thoroughly dried, spray paint with a white spray paint of your choosing. Hope that helps! What’s the best way to clean the outside of the bins without the paint chipping? Is it water safe? 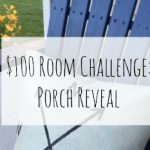 This post has just saved me soooo much money! I just changed my classroom theme and decor and thought I would have to purchase all new baskets and bins. I’m headed to the hardware store tomorrow!!!!!! THANK YOU SO MUCH!!!!!! YAY! 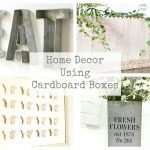 New bins can cost SO much money, and I don’t think we often think of painting bins that aren’t necessarily our style, but if you think outside the box, it’s amazing how much money you can save. Good luck on designing your new classroom this year! Brilliant! 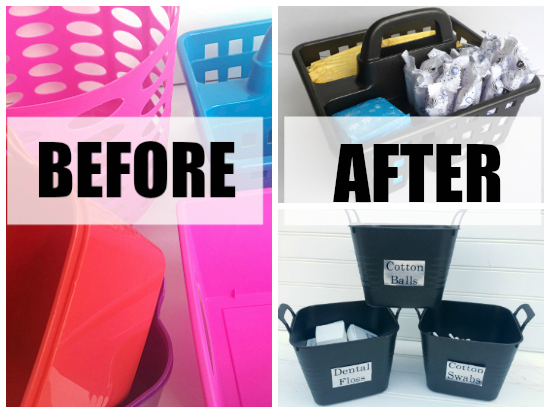 I found this post via Pinterest as I too have multi-(fun) colored bins from the dollar tree in my kitchen. I’m looking for more cohesion, plus I really like white in a kitchen and these bins are never not produced in a fun color. That does make them perfect fit my kids’ rooms, however. So I want to be able to spray them white and still use them daily without chipping. I’m curious now about an update from you: have your bins held up well since this post? Thanks for this info. I’ll be using it soon hopefully! this is BRILLIANT! I had no idea that spraypaint would work on plastic bins! Thanks Lindsay. While I love fun colors, they aren’t exactly in line with my home’s decor scheme. 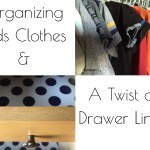 I love the fact that this project is so simple and makes such a difference when trying to create affordable storage.